4.4 / 5 Score from 104 reviews. 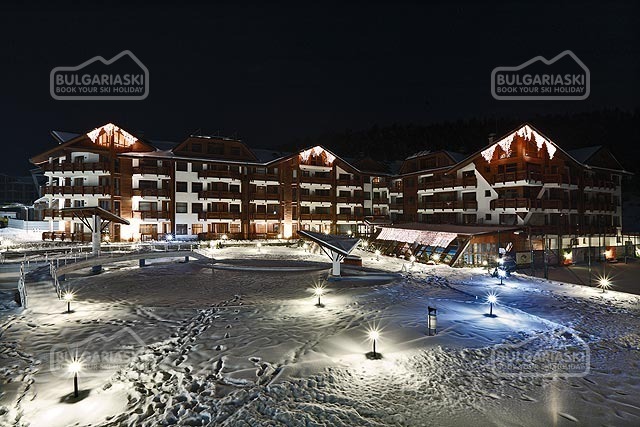 Accommodation: “Redenka Palace” is a modern alpine style hotel, offering 87 completely furnished one and two bedroom apartments. Each apartment offers a fully fitted kitchenette with all necessary appliances for cooking and dining (refrigerator, oven, hot plates, utensils and silverware), TV in all rooms, DVD player, wireless and cable Internet (free), telephone. 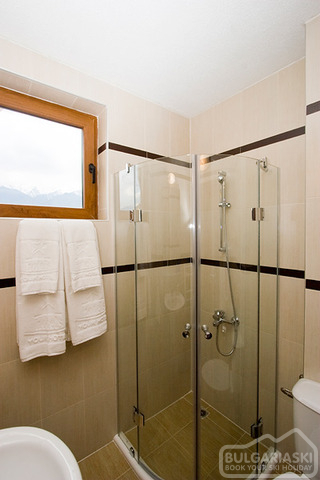 Each apartment offers an individual bathroom. Most of the apartments offer comfortable balconies. So many comforts! So much fun! 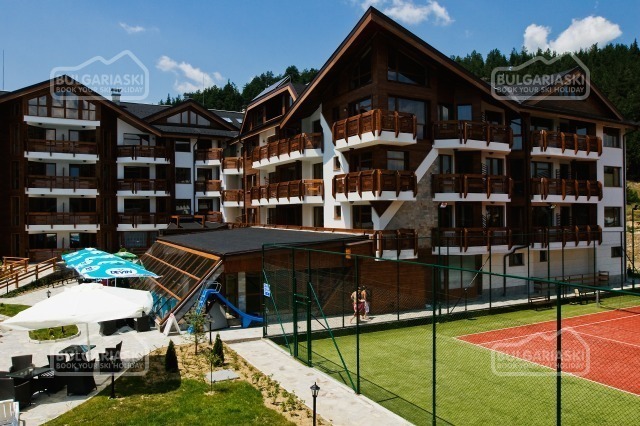 Vacation Complex “Redenka” offers sport and relaxing facilities that can be rarely found elsewhere. Guests of the complex can use a huge indoor swimming pool with dimensions 13 x 7 m, with wide windows, offering lots of sun beams even during the coldest winter days. The water temperature of the indoor swimming pool is heated to 30-32°. 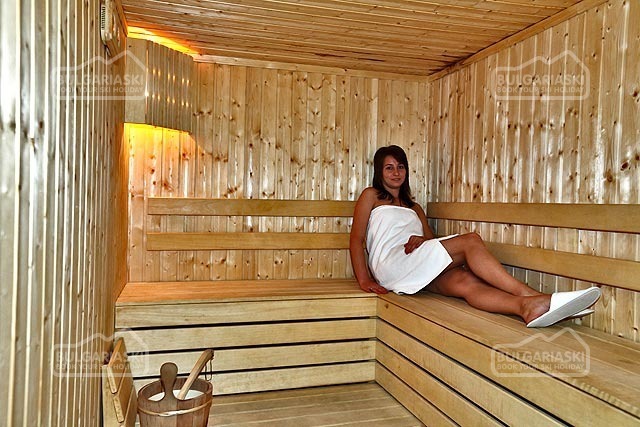 Wellness centre with Jacuzzi, sauna, steam bath, massage centre, fitness hall and solarium. 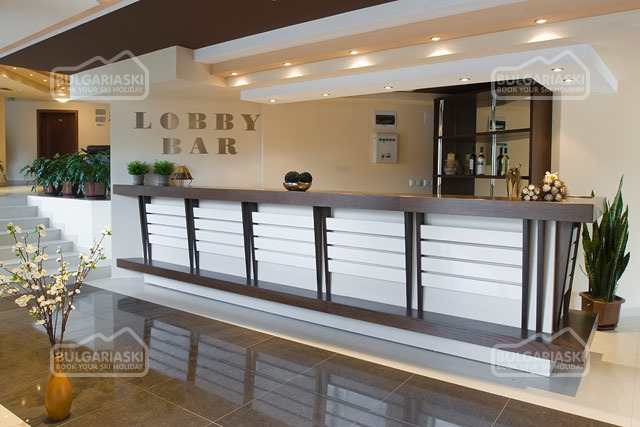 The lobby bar is situated in “Redenka Palace” hotel. The outdoor swimming pool with a pool bar, kids’ area, poolside sunbeds and parasols is definitely a pleasant addition to your summer holiday in the mountain. The outdoor swimming pool is also heated and during the summer (01 June 11 - 15 September 11) the water temperature will be 25-26°. 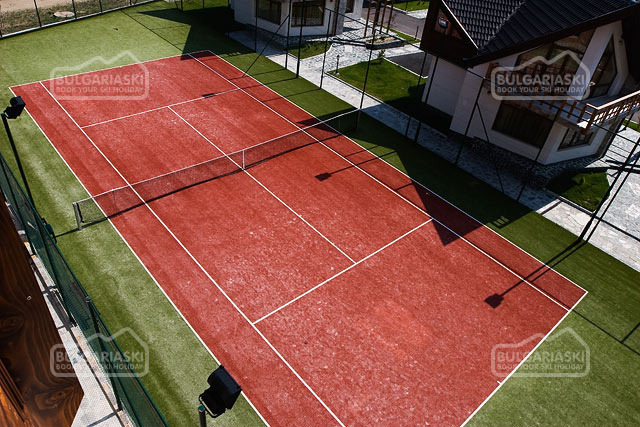 The complex also offers an open air tennis court, which can be also used as a volleyball playground. Guests of the hotel can use a huge football field with dimensions 72x28 m, covered with a real grass. 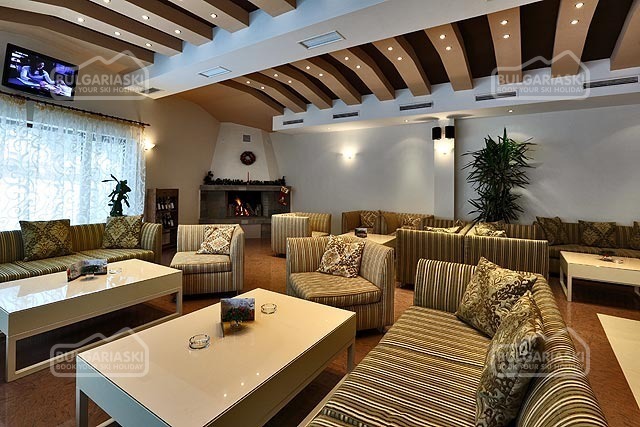 For convention events, seminars an company meetings the complex offers a small conference hall for 25 guests, as well as a bigger hall for 60 guests in the lobby bar of “Redenka Palace” complex. 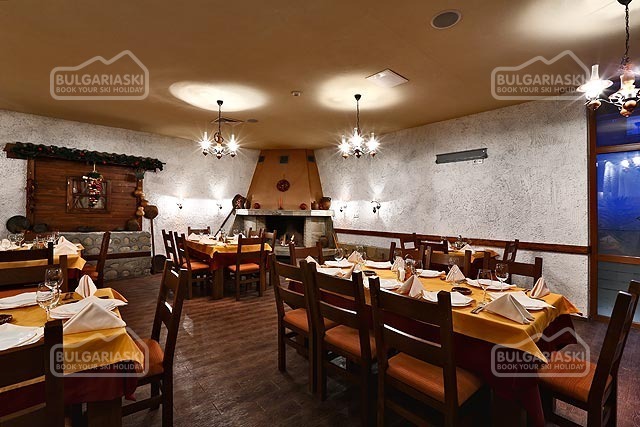 The ground floor of the nearby building hosts the restaurant “Staria Razlog”, where guests can try traditional cuisine form Razlog. 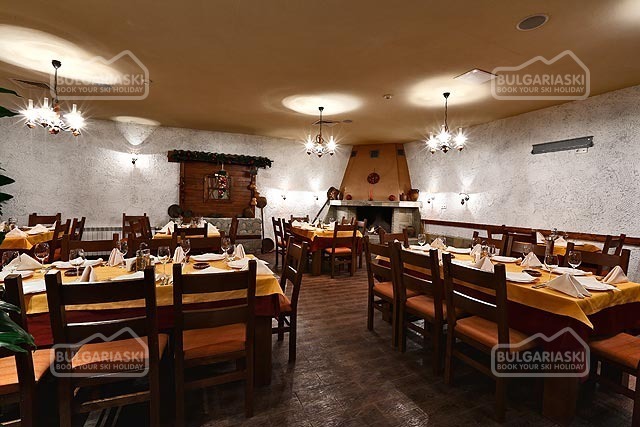 The restaurant serves the most popular Bulgarian and international dishes, as well as lunch menu, block table dinner or a-la-cart at very reasonable rates. The apart-hotel offers a reception desk, lobby, as well as entertainment hall for games with a wonderful summer terrace facing the mountain. The complex offers a lot of space, low buildings, beautiful green zones with grass flowers and threes. “Redenka” really impresses as a unique site for a holiday. 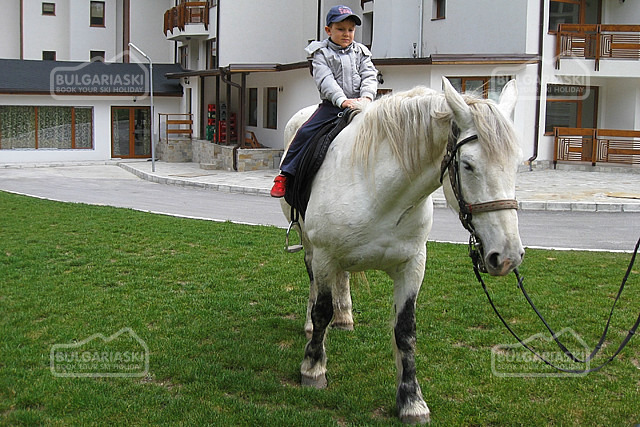 A various entertainment program is offered on spot at the hotel: - Horseback riding; - Summer barbeque; - Jeep Safari; - Mountain biking; - Mountain trekking with experienced guide; - Moto-planerism with instructor; - Excursions to Dobarsko, Kavala, Thessalonica, Sofia, Plovdiv, Rila Monastery, Melnik; - Visit to the culture and history sightseeing in the region; - Visit in the “Dancing bears park in Belitsa”; * You can download the complete entertainment program in “Redenka” from here! Entertainment for the kids. Relax for the parents. “Redenka” is excellent site for kids. They can run free; enjoy the rural atmosphere, the clean air and the beautiful nature. 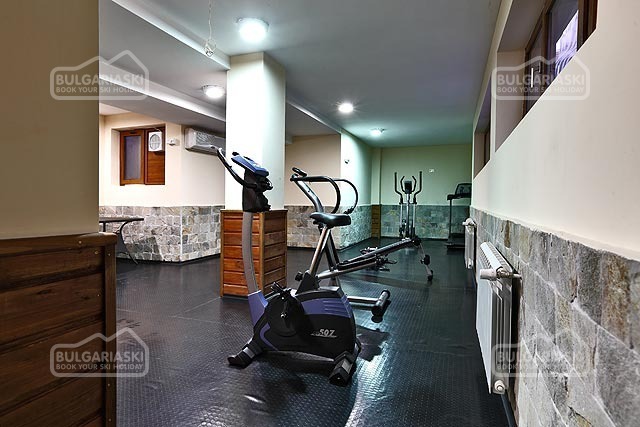 The wide area in the gated complex provides excellent opportunity for the kids to play undisturbed, meet new friends and make it up for the lack of outdoor activities in the big city. 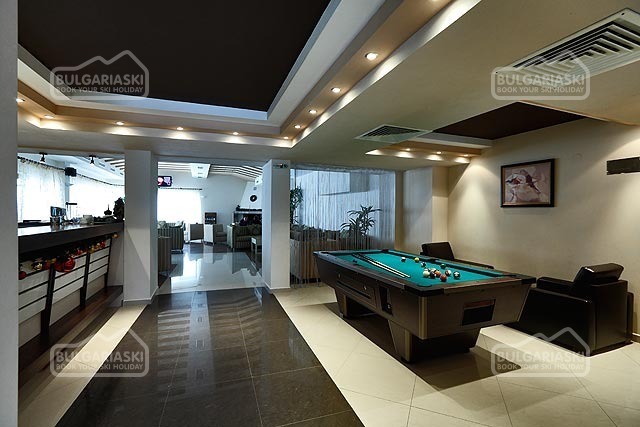 The complex offers so many extras, so the kids won’t miss anything. While the kids are having fun, Mom and Dad can be calm and relaxed on the sun bed with a glass of a refreshing drink in hand. 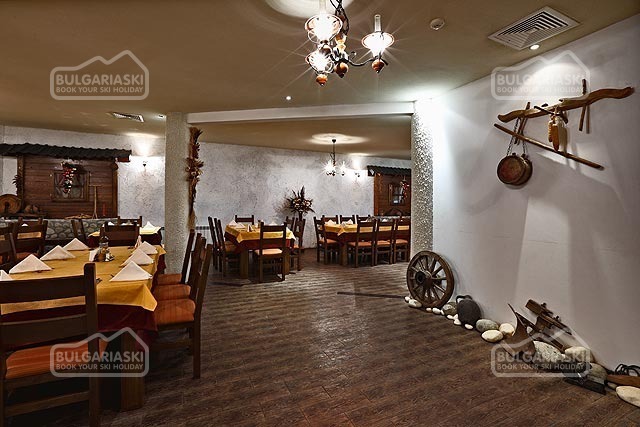 “Redenka” is a preferred site for families with kids, a lot of families choose to complex to spend several days with the beloved. Service The service is of majour importance to the complex management. You will find positive and smiling people, ready to be at your service and make your holiday calm, pleasant and unforgettable. 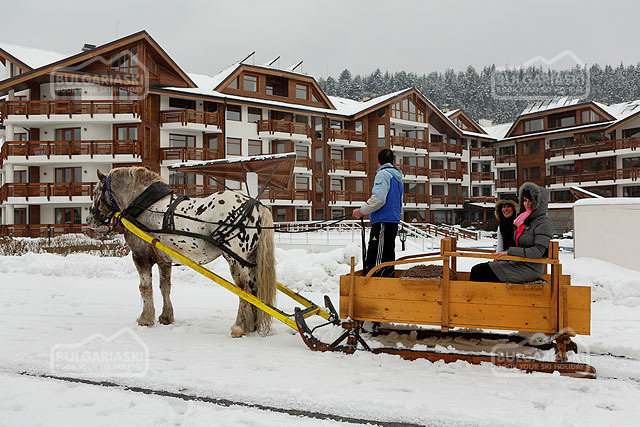 Transport Although we recommend you to come with your own car, the complex also offers a mini bus offering regular transport to Bansko during the winter. 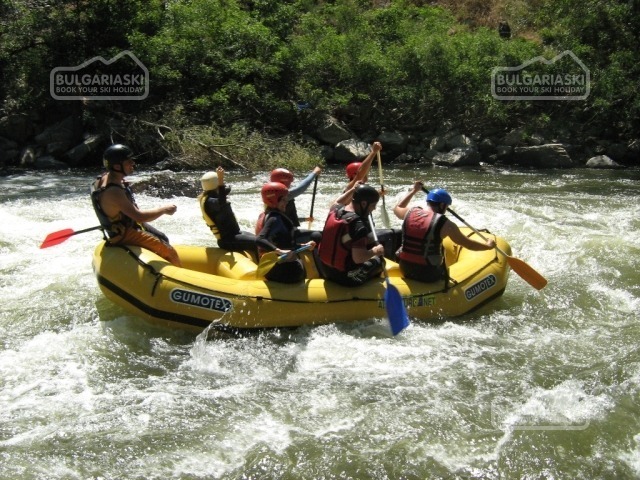 Transport to the nearby towns, resorts or the mountain is also available at any time, subject to a small additional charge. Whether you are planning a weekend escape, a longer holiday, a company event or teambuilding – “Redenka” is your right choice! See also “Redenka Lodge” and “Redenka Chalets”. 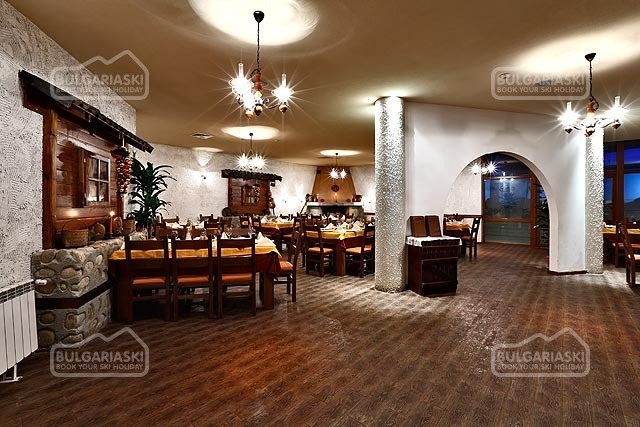 Please, post a comment on Redenka Palace Aparthotel. Everything was perfect.The girls on reception helped us with everything. The rooms were very clean We were a group of women who celebrated women's day and the staff helped us to make a party with our music. The staff was very friendly . I'm sure that I will go back to the hotel. Breakfast was the same every day. I'm happy with your services. I will recomand you to my friends. Hotel staff at Redenka were amazing, always willing to help, always smiling. would definitely recommend it and stay again. Modern, clean , warm , frendly staff, I feel great. We will come back next year! Amazing days for ski! Very nice atmosphere! Thank you!